Members of the St. John’s Firefighter’s Association took up a collection and provided hampers for some of our less fortunate citizens just in time for Christmas. 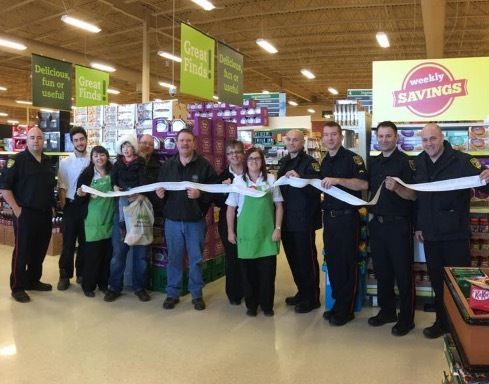 In all more than $6,200.00 was raised to purchase food, presents and winter clothing, everyone chipped in, including Sobeys Mount Pearl store. The picture show above shows our members and Sobey’s staff holding the grocery receipt. Many thanks to those who organized this event, yest another example of your firefighters giving back to our community. Merry Christmas one and all from the St. John’s Fire Fighters Assn.